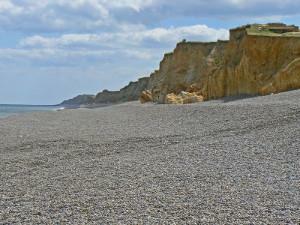 Weybourne beach shelves away dramatically which makes it a great spot for sea fishing or to launch a fishing boat. 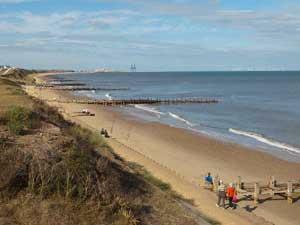 Cart Gap is a popular place to walk along the Norfolk Coast Path towards Happisburgh or Sea Palling. 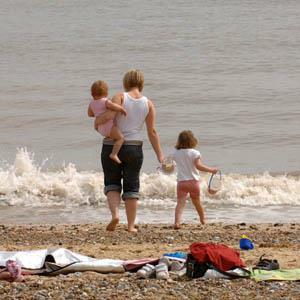 Sea Palling is a small coastal village with a history going back to the Domesday Book. 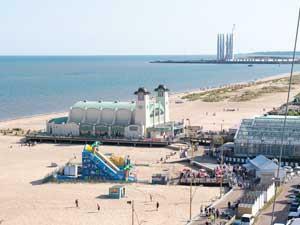 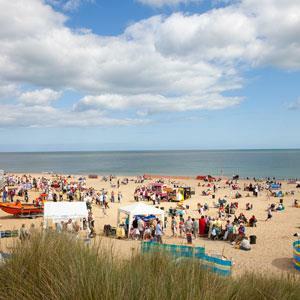 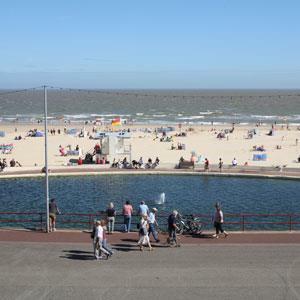 It has a wide sandy beach with a series of shallow bays formed by man-made offshore reefs created as part of a flood defence scheme. 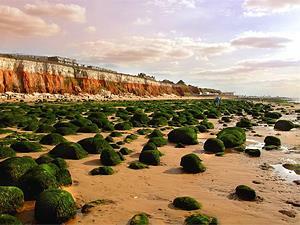 Hunstanton is a gently sloping beach with rock pools at the northern end leading to Hunstanton's famous red and white stripped cliffs. 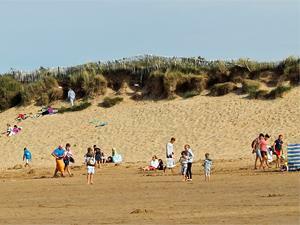 The award-winning beach at Wells forms part of the Holkham Estate. 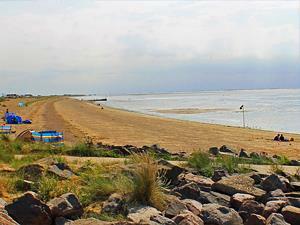 The beach continues eastward but can be cut off by the tide which does come in very quickly. 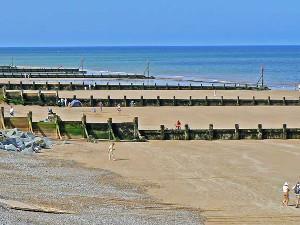 Sheringham is very popular because of its fine beaches and cliffs surrounded by picturesque wooded areas to the north with views over the sea. 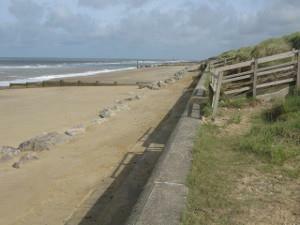 In recent decades the North Norfolk Railway. 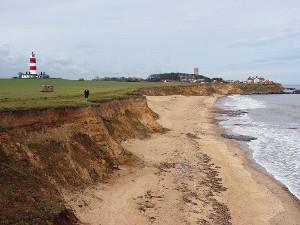 From Happisburgh beach there are miles of coastal paths to walk and footpaths in the surrounding area. 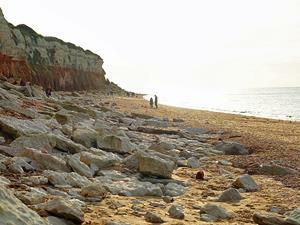 The cliffs offer an impressive backdrop to the beach with its red and white lighthouse and St Mary’s Church. 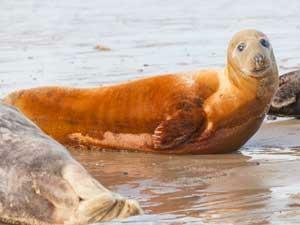 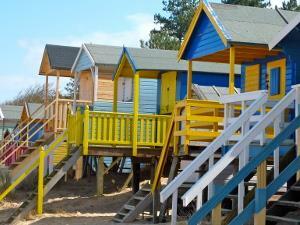 Holkham beach is a the jewel of the North Norfolk Coast. 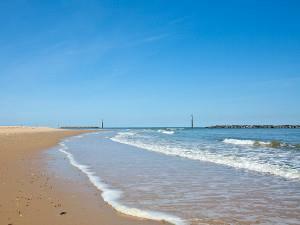 At low tide the beach stretches for miles and miles and you can walk in an unspoilt landscape of just sand, sea and sky. 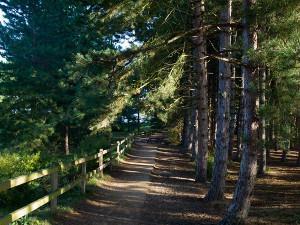 On hot days the pinewoods provide some welcome cool shade.